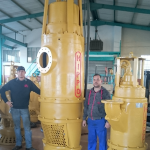 The Hippo Submersible Bottom Suction Pump Range is used in applications where the solid particles in the liquid have already settled out and need to be agitated before being pumped. The all metal pump construction with High Chrome hydraulic design as standard contributes durability and high efficiency. The pump can be manufactured out of all types of Duplex Stainless Steel Alloys e.g. (CD4MCu) for acidic environments. The Hippo pump range can be fitted with wide variety accessories to accommodate the client’s requirements. Power Installed from 3 Kw up to 1000 Kw. Voltage supply up to 6.6 KV at both 50 & 60 Hz. 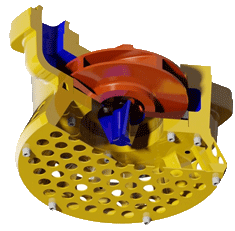 Twin Volute Discharge Design: Utilising this principle all radial forces are balanced out in the volute, which results in the minimum load on the bearings – increasing the bearing life as well as enabling a more efficient pumping capability. 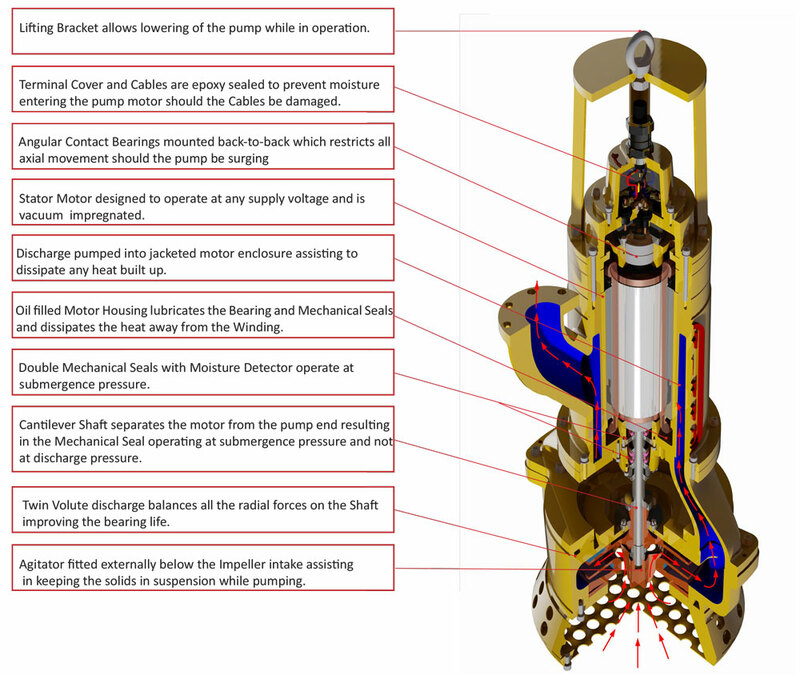 “Run Dry”: The failure of submersible pumps as a result of insufficient cooling has been solved by having the stator housing filled with oil which dissipates heat away from the winding thus enabling the Hippo Submersible pump to run dry continuously. 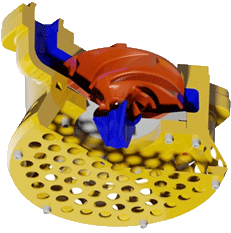 The design allows for full, partial and non-submerged conditions. 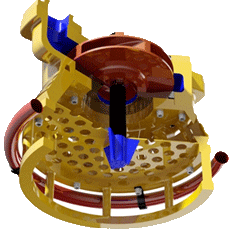 Cantilever Shaft: As a result of the Twin Volute Design a Cantilever Shaft is used, whereby the Wet-End is dissociated from the Motor-End without any support bearings. 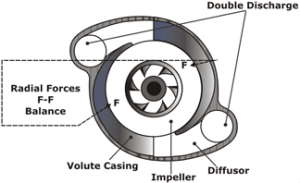 Mechanical Seals: As a result of the Cantilever Shaft, the mechanical Seals are dissociated from the Wet-End and are only subject to submergence pressure resulting in an extended seal life. 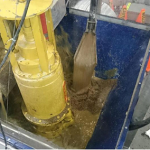 Hydraulic -End Designs: For every application, a specific Hydraulic End Design is available, whether a high head application or a high volume application is required. Large and irregular solids or abrasive and corrosive liquids can also be handled with ease.